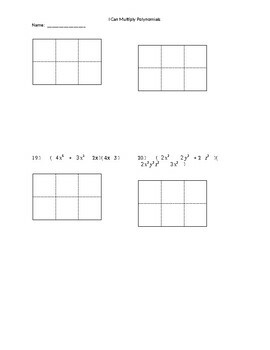 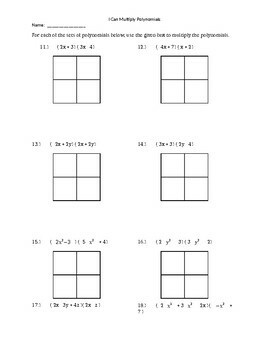 This is a practice sheet I created to help students use the box method to practice multiplying polynomials. 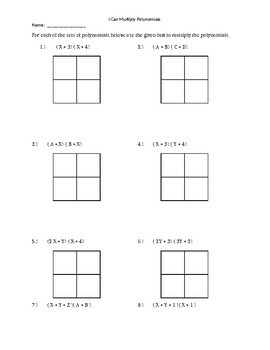 There are a total of 20 problems across 4 pages that vary in difficulty. 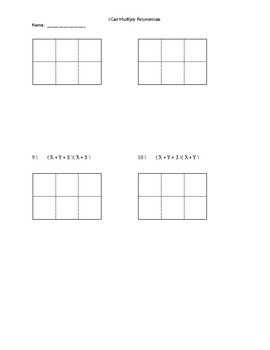 These practice sheets include binomial x binomial multiplication, and trinomial x binomial multiplication.